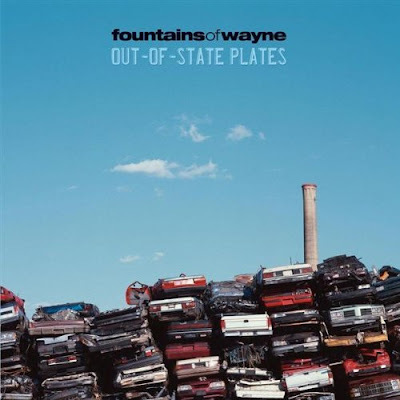 Out-of-State Plates is aimed at diehard Fountains Of Wayne fans as opposed to those who only know the band from its “Stacey’s Mom” video. The two-disc set features non-album tracks from 1996 through 2005, as well as live performances, cover versions, and two brand new songs. The amount of material proves just how prolific vocalist-guitarist Chris Collingwood and vocalist-bassist Adam Schlesinger have become as a songwriting duo. The CD’s only true misfire is “Half A Woman,” a monotonous tune about a magician’s assistant that strains to be clever. By contrast, the freshly recorded “Maureen” is a fun rock song about a frustrated guy’s ‘best friend’ who insists on providing detailed accounts of her affairs with other men. “The Girl I Can’t Forget,” the other new song, is equally catchy. The band performs faithful renditions of ELO’s “Can’t Get It Out Of My Head” and Jackson Browne’s “These Days,” but has fun with Britney Spears’s “Baby One More Time.” Fountains Of Wayne’s authentic bluegrass take on the old standard “Today’s Teardrops” is another solid rarity on Out-Of-State Plates.